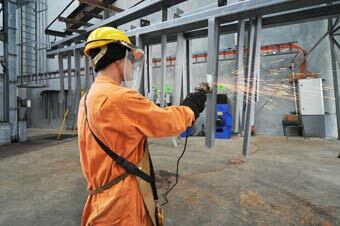 Adelaide Galvanising Industries Pty Ltd is a wholly South Australian family owned company. We have been at our current site since 1996.In 2009 Adelaide Galvanising Industries Pty Ltd had a facility upgrade to incorporate a new completely enclosed Galvanising Kettle. This was necessary in order to incorporate the latest and best practice technology, greater energy efficiency, better environmental performance and a safer working environment for our staff. We currently have a staff of 20. 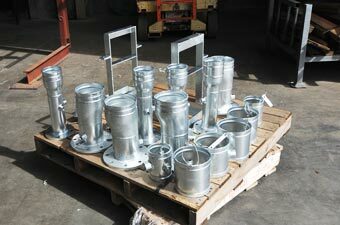 Our sole business focus is to provide the service of Hot Dip Galvanising. We are not manufacturers.Types of products galvanised include Roadside Hardware, Structural Steel, and Electrical transmission equipment. We also service the rural community as well as the wine and commercial fishing industry. What is Hot Dip Galvanising? In some cases it provides the lowest initial coating cost as well as the most cost effective long term cost. 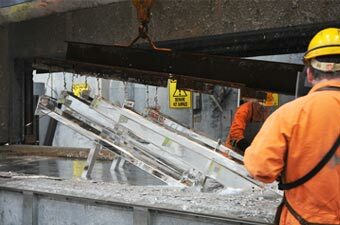 The galvanised coating becomes part of the surface of the steel. It is a durable coating that provides toughness during transport, erection and service. All sections of the structure are protected and the zinc can flow through all sections of the structure including recesses, returns and internal facets. It can be combined with a ‘duplex system’ that is galvanising and paint to offer greater protection in areas of high risk corrosion. It is a versatile process enabling small to very large items to be coated.